Denmark is world renowned as a leader in design and style, particularly when it comes to furniture, fashion and toys. It is also in Denmark where LEGO – the world’s greatest toy – was born. It should come as no surprise then, that we also find a fashionable speaker company called Audiovector there. Audiovector was founded in Copenhagen in 1979, the same great vintage as the author of this article, by Ole Klifoth who at the time had been in the hifi sales business for eight years. During this time, Ole was exposed to a wide range of speakers but was never fully satisfied with what he heard, compared to the live music he regularly enjoyed in Copenhagen concert halls, jazz and rock clubs. It was this disconnect between reproduced and live music that drove Ole to design his first speaker, which immediately became a success. 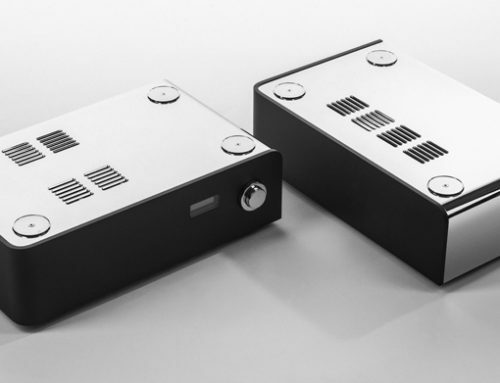 Today, together with his son Mads Klifoth, Audiovector designs and builds high quality speakers determined to reproduce live sound as accurately as possible – the very same goal that founded the company almost 40 years ago. Although I had heard about Audiovector earlier, I got my first chance to listen to their speakers at the TAVES Consumer Electronics Show in 2016. I also had the pleasure of meeting Mads Klifoth at the show. 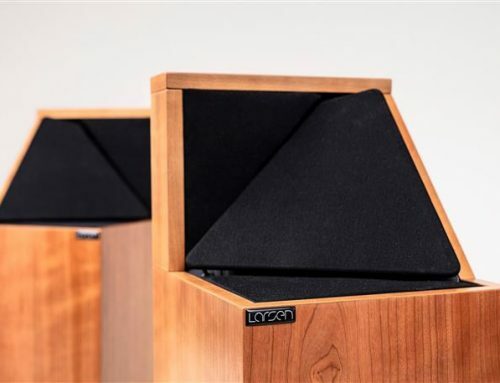 Many traditional high-end speakers tend to be large, obtrusive and not particularly attractive in the looks department. Not to mention the high price of admission. The Audiovector QR series of speakers however, are none of that. This series is designed for those who love music, have a sense of style and don’t want to remortgage their house to buy a pair of speakers. The QR series is the company’s most affordable line designed for the modern music listener, rather than the traditional audiophile. 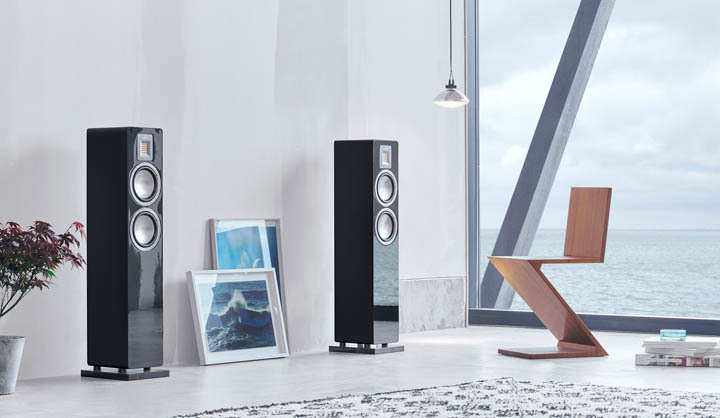 At the time I wrote this review, this series offered just two models – the QR1 bookshelf ($1,000 US) and the QR3 tower ($1,800 US). However by April 2017, the series will be expanded to include the QR Sub (subwoofer), QR Center (centre channel) and QR Wall (on-wall speaker) models (pricing to be announced). The QR3 model left a lasting impression on me at the TAVES Consumer Electronics Show in 2016 thanks to its big sound, detailed highs and impressive bass. Hence we asked the Canadian distributor Tri-cell Enterprises to send us a sample for review. The QR3 is an elegant speaker, pretty enough that your significant other will likely not protest to having it in the living room, instead of relegating it to the basement. Housed in a cabinet that will feel comfy in just about any room, thanks to its compact dimensions (942 W x 190 W x 232 D mm). Its design marries a gold-plated AMT (Air Motion Tweeter) and dual 150 mm mid/bass drivers (consisting of an aluminum/glue/aluminum “sandwich”). 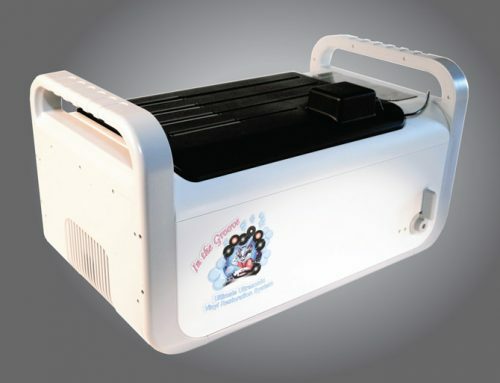 It has a sensitivity rated at 90 dB, impedance that ranges from 4 to 8 ohms, and a frequency response from 30 to 45 kHz. The AMT tweeter is a design that has trickled down from Audiovector’s higher-end speaker lines, and promises a detailed high frequency. 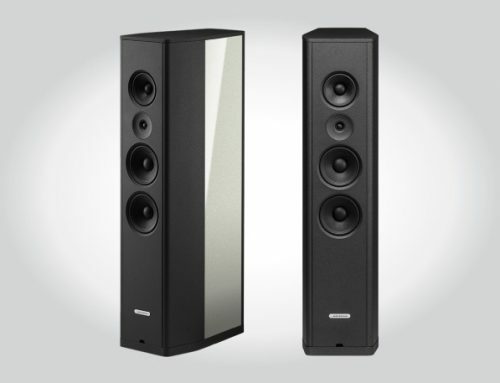 The Q-port bass reflex design, ported at the bottom of the cabinet, enable the speaker to produce a deeper, more room-filling bass than other similarly sized speakers. To ensure a visual fit into any environment, the QR3 is available in three finishes: Dark Walnut (veneer), Silky White (flat) and Piano Black (glossy). The fit and finish of my Dark Walnut QR3 sample were excellent. If you wish you learn more about the technology behind the QR series, head over to www.audiovector.com. 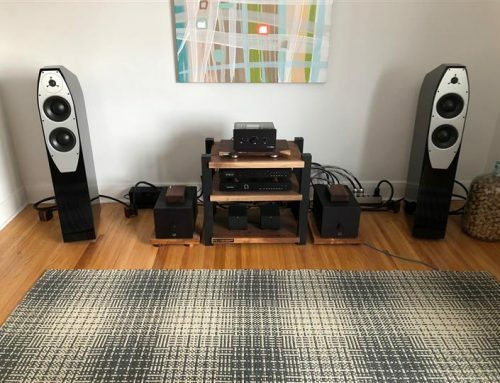 During my tests, I tried these Audiovector speakers with a few different amps, including the Jeff Rowland Continuum S2, ModWright Instruments LS 100 tube preamp & KWA 100 amp, and the Unison Research Sinfonia tube amp. However, these speakers should work equally well with good quality, lower powered (and lower priced) amps because their 90 dB rating makes them easy to drive. The bottom-ported, bass reflex design of the QR3’s makes them easy to place in the room, since proximity to the rear walls does not affect their overall presentation as much as it does traditional rear-ported designs.